For a change, here's a shot with zoom maxed out. 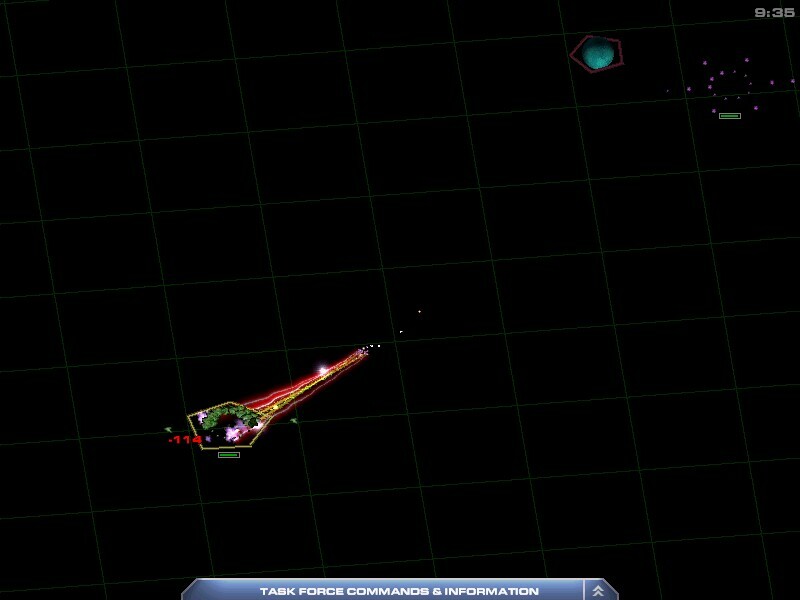 Sakkra fleet is trying to repel Silicoid interceptors. The red swaying beams are Graviton Beams already familiar from 1.0, and the yellow ones with the small rings (hard to tell) are Disruptor Cannons. The big, white lensflare just above the red beams is a Fusion Cannon projectile.